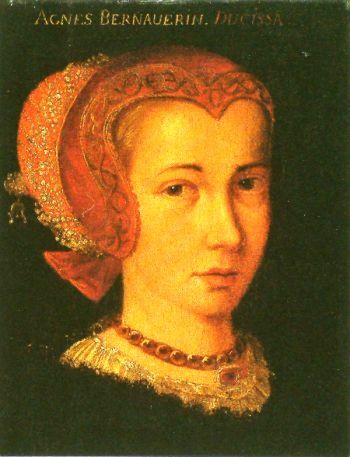 On October 12, 1435, Agnes Bernauer, the mistress and perhaps also the first wife of Albert, later Albert III, Duke of Bavaria, was condemned for witchcraft and drowned in the Danube. Her life and death have been depicted in numerous literary works, the most well known being Friedrich Hebbel‘s tragedy of the same name. Agnes Bernauer, often called “the Bernauerin”, was probably born around 1410. Nothing is known of her childhood and youth. She is traditionally considered to have been the daughter of the Augsburg barber surgeon Kaspar Bernauer, whose existence has, however, not yet been proved. The beauty of the Agnes Bernauer was extensively praised, so that the chronicler Veit Arnpeck (1435/1440-1495) wrote still in 1493 admiringly: “It is said that she was so pretty when she drunk red wine, you could see how the wine went down her throat.” Since the son of the Bavarian duke Albert III participated in a tournament in Augsburg in February 1428. It is very likely that the Duke went to the bathing house of the Kaspar Bernauer referred to as “Hinterm Weberhaus“, after the knightly game, where he met Agnes, the lovely daughter of Kaspar Bernauer, a beautiful, delicate girl of about 17 or 18 years with gorgeous blond hair. At the end of the Middle Ages, bath houses were the most popular public place, especially in wintertime. Here one could be washed, massaged or medicated by the pool attendant. Everyone was allowed – except the Jews – to enter for a small fee. Almost all of them walked around half naked in the warmth. The bathing maids, called “rubbers”, wore only a very generously cut white linen coat and finely knitted hairnets. Most of the time, prostitutes also mingled with these girls; the bath prostitution was a generally tolerated phenomenon, albeit one that was heavily condemned by the church. The fact remains that Albrecht von Bayern, the only son of Duke Ernst, the ruling Wittelsbach duke of Bavaria, fell in love with the beautiful bathing daughter. The two became a couple, and in the same year Agnes gave birth to a daughter she called Sibylla. At least that’s what a persistent tradition claims. In a Munich tax roll dated 1428, a “pernawin” is listed as a member of his royal household, which is probably a reference to Agnes Bernauer. Since 1375, Bavaria was divided into three ducal lines: Munich, Landshut and Ingolstadt. The reigning Duke Ernst von Bayern-München had great hopes that the whole of Bavaria would one day fall on his only son Albrecht, due to the lack of male descendants of his cousins. Therefore he urged him to marry in 1432. In summer 1432 at the latest, Agnes Bernauer was an integral part of the Munich court. She took part in the capture of the robber baron Münnhauser, who had fled to the Old Court in Munich, and she annoyed the Palatine Countess Beatrix, Albert’s sister, because of her self-assured manner. It is possible that Agnes and Albert were already married at this point, but there is no concrete evidence of a marriage ceremony. Albrecht became increasingly rebellious, refused to obey the father several times and moved with the Bernauerin to Straubing castle. Since 1433 Albrecht ruled the Straubing region for his father Ernst and his uncle Wilhelm, who had come to Bavaria-Munich in 1425/29 due to inheritance. Now Albrecht installed the Bernauerin in Straubing as a duchess, while he ruled even in Straubing country as the ruler more and more independently – very much to the displeasure of his father – reigned. 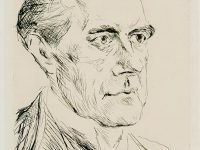 When Albrecht confessed to his father that he was already married – and in addition to that with a simple bathing daughter -, Ernst’s political plans completely collapsed. 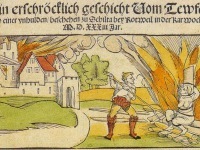 The noble house of Wittelsbach was threatened with a huge scandal, because in the Middle Ages, “Bader” was often considered to be one of the “dishonest professions”, their activities were considered to be infamous and notorious. Albert’s frequent residence at Blutenburg Castle beginning in 1433 and the sale of two properties in the vicinity to Agnes suggest that the couple lived there together. There is no evidence of joint residence in Albert’s county of Vohburg, and there are no known descendants of the couple. Behind the behaviour of Albrecht, who had previously shown little interest in co-government in Munich, Duke Ernst suspected the Bernauerin. He was infuriated by the threat to the succession posed by his only son’s unsuitable liaison. 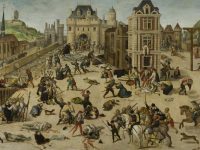 “In the same year (1435), on 12 October, Duke Ernst von Bayern ordered a very beautiful woman, the mistress of his son Albrecht – some, however, said that she was his real and lawful wife – called Bernauerin, to fall from the Danube bridge in Straubing. With the help of the one foot, which was not bound, she swam a bit and came close to the shore, shouting with a hoarse, miserable voice:”Help! Help! But the torturer, who had plunged her from the bridge, ran along the bank of the Danube and because he feared the sudden wrath of the Duke Ernst, he wrapped a long pole in her hair and pressed her under water again”. Albert then went to Ingolstadt to Duke Louis VII, but after a few months was reconciled with his father and married Anna of Brunswick. The feared military conflict between father and son did not materialize; it is possible that Emperor Sigismund exerted a restraining effect on Albert. In December 1435, Albert endowed a perpetual mass and an annual memorial celebration in the Straubing Carmelite Cloister in memory of Agnes Bernauer. In 1447 he expanded the endowment in her honor. In 1436, his father had an Agnes Bernauer Chapel erected in the cemetery of St. Peter Straubing, probably to appease his son. In the life and death of Agnes Bernauer, we encounter a myth of Bavarian history. Much of her biography is historically difficult to grasp, but little has been handed down. Therefore, the fantasy of this tragic life took hold of itself and produced a multitude of literary, musical, cinematic and pictorial works. Beside the folk song of the Bernauer woman from Bernau, which was already written in the 15th century, the most famous are the “Vaterländische Trauerspiel” by Joseph August Graf von Törring (1753-1826), which was premiered under the title “Agnes Bernauerin” in 1780, as well as Friedrich Hebbel’s (1813-1863) tragedy “Agnes Bernauer” (1852/55) and Carl Orff’s (1895-1982). In Germany, the life of Agnes Bernauer remained hardly known outside Bavaria. 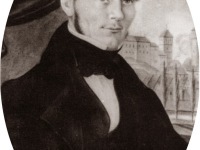 It was not until the poet Friedrich Hebbel had his tragedy of the same name performed in Munich in 1852 that their fate came into the public interest. Jan von Flocken: Agnes Bernauer: Wie sich Bayern-München einer Geliebten entledigte, Die Welt, 25.08.2015.